The transition from outside to inside is probably one of the most important parts of your house when it comes to visitors. It is where they get the first impression of your home. People see your home whether they are visiting or just driving by. Do you want to have the house on the block that people are scared to approach or, or do you want to have the house where people want to come up and knock on the door....the house that makes people wonder how great the inside looks? And an interesting entry doesn't just have to be for visitors. 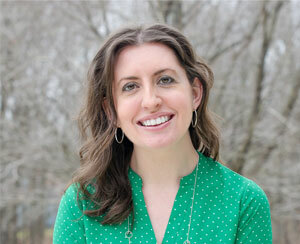 It is more welcoming for you, too, to come home to a nicely dressed home. There is nothing more frustrating for a visitor than to not know where to go to come into your house. I've seen some front entries that are beautifully designed, yet the homeowners prefer guest to come to the back of the house, even though there is not any clear direction to do so. 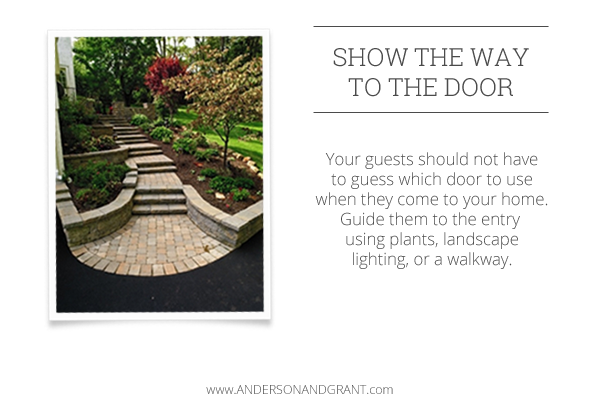 Regardless of where you want your guests to enter, you need to make sure that they are guided in the correct direction. This can easily be done with a walkway, adding some decorative landscape lighting, or bushes, shrubs, and flowers. 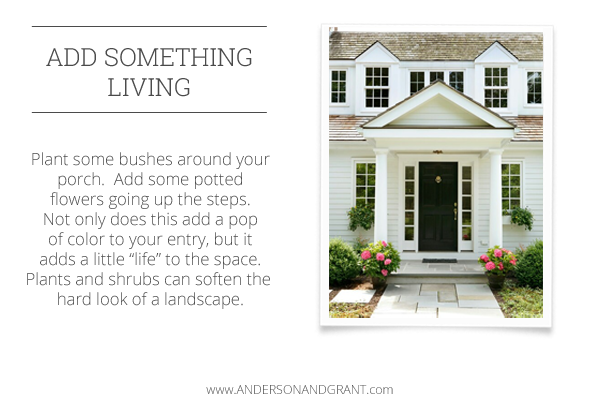 Although adding plants or bushes to the exterior of your home requires a little tending to, they can make a huge difference in the curb appeal of your entry. Even just adding a few pots of geraniums (or pumpkins in the fall) going up your steps can instantly add a little bit of "life" to your house. I love the look of a porch light of a house glowing in the dark at night. There is something welcoming about seeing a house lit up. 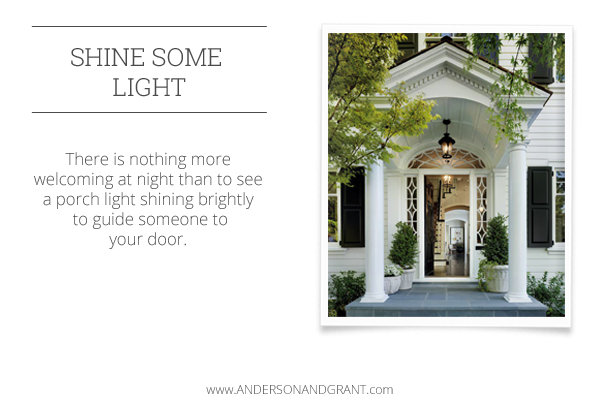 Not only does light look nice, but it helps to keep your home (and your guests) safe. There is not a lot that you can do to "decorate" the front of your house, but using functional accessories is one way to add a little personality. Adding a welcome mat is an easy way to add a little color and texture to your entry and they can be found all over. 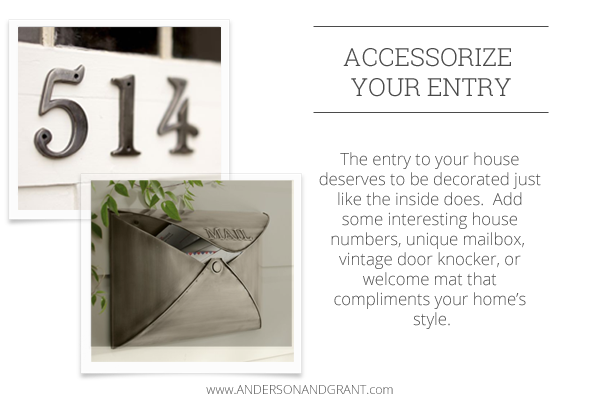 And if you have to have house numbers or a mailbox on the exterior of your home, why not find ones that are unique? If there is room, adding a bench or chair with some colorful (outdoor) throw pillows can make your house look like a place to stop and enjoy a cup coffee on the front porch. 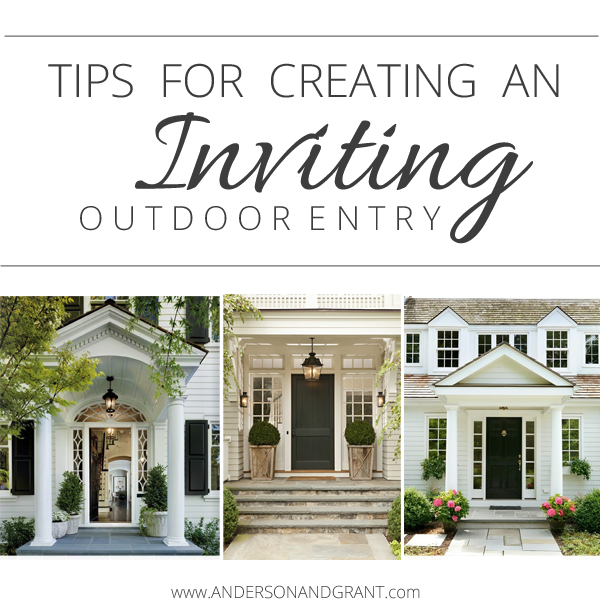 This is one of the easiest (and free) ways to make your entry more inviting. 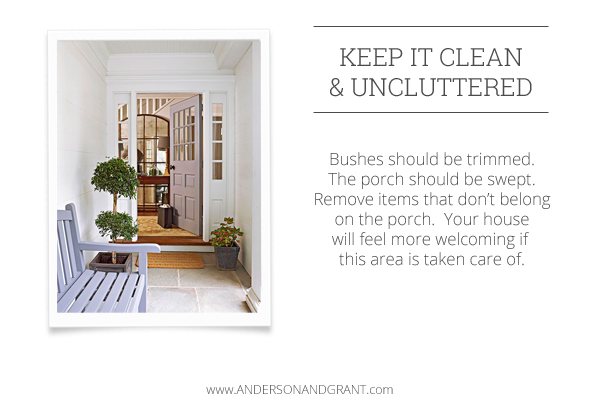 The front of your house should be kept clean and free of things that don't belong. This is not the place to "over-decorate". Even if you have the room for a sitting area, you don't need a lot of extra clutter.....simple is always better in this case. There is something welcoming about being patriotic. 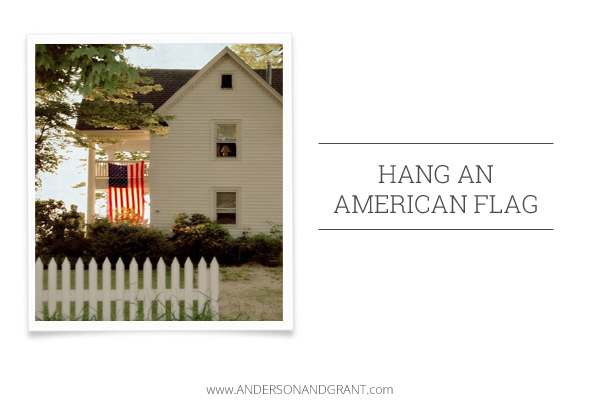 Seeing a flag flying in the breeze is one of those little touches that could instantly catch someone's attention. 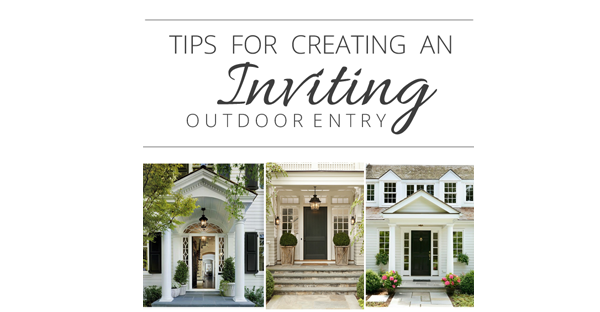 It isn't necessary to implement all of this tips in order to make your entry more inviting. But just taking the time to give a little thought to how your house appears can improve the feeling of your home. Do any of this tips inspire you to do a little updating to this area?